Although just a short drive to Benidorm, North Costa Blanca seems a million miles away from skyscrapers and crowded beaches. 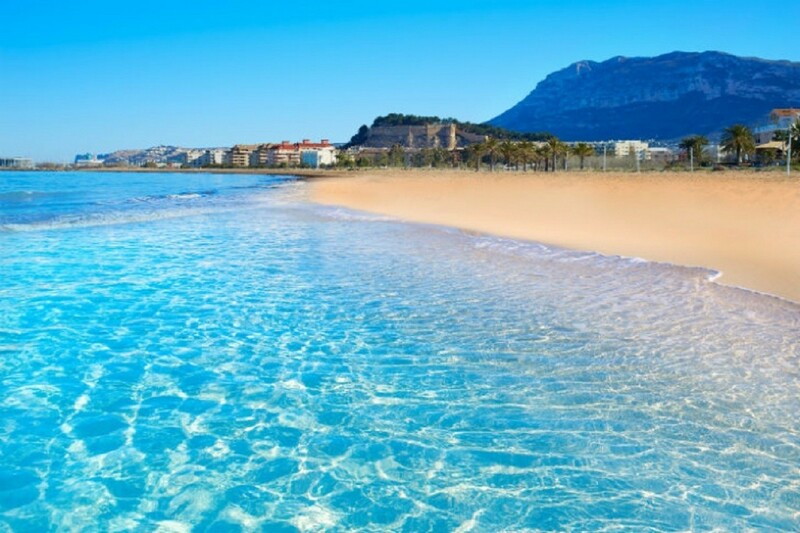 With peaceful coves, glistening blue waters and unspoilt beaches stretching for miles, each and every town in this northern region flaunts its own unique style; from the unmissable Rock Ifach in Calpe to the authentic charm of Javea, known as the Amanecer de España, or the Dawn of Spain. Costa Blanca North generally attracts buyers seeking a luxury holiday home or primary residence, so it’s not uncommon to find exclusive marinas and world class restaurants. The region really is enchanting, offering its own microclimate with average winter temperatures rarely dipping below 15 degrees. In 1986 the World Health Organisation even recommended the climate of the area as one of the most equitable in the world - neither too hot in the summer nor too cold in the winter. With so many coastal and inland towns to choose from such as; Calpe, Altea, Moraira, Denia, Javea and Benitchall, your location can be as personalised as your new property. Enjoying an uplifting and more enriching lifestyle, many expats, second home buyers and retirees choose the North Costa Blanca as the perfect location for their dream home. The popular towns of Javea and Denia, nestled on this beautiful peninsular, are far enough away from the airport and major cities that many holiday makers and long-weekenders are put off by the extra journey, preferring the more accessible areas of Benidorm and Torrevieja. But, for those that venture beyond the realms of weekend-getaway areas, the Costa Blanca North is a haven of beautiful scenery, exclusive marinas and residential zones rivalling those of the Costa del Sol. Settling in smaller and more exclusive beach resorts or inland areas, many expats and second home owners choose the Costa Blanca North as their preferred destination, and it’s easy to understand why. The region has so much to offer; you can tee up on one of many top golf courses, cycle in the Sierra de Bernia mountains, relax on multiple blue-flag beaches, shop in various open-air markets, join in with multiple local festivals, take part in exclusive regattas, sample the famous red prawns in Denia, climb Climb Peñon de Ifach, Calpe, take the ferry over to Ibiza and still reach both Alicante and Valencia in just over an hour. Sound good? There are also various hidden gems that make this part of Spain shine that bit brighter than many other regions and most are merely stumbled upon after venturing beyond the typical coastal towns. Katie Wood, travel editor and author writes “I went expecting a landscape of mass tourism but, in the northern part of the Costa Blanca, I found quaint Spanish villages where bar owners spoke only 10 words of English, and I found a part of Europe where life goes on the way it has for decades, with siestas religiously adhered to, and local customs and culture still very much a part of everyday life”. The Jalon Valley, around 20 kilometres inland from Javea, is home to numerous unspoilt villages such as; Llíber, Alcalalí, Parcent and the livelier and more “bar-goer-friendly” Gata de Gorgos. Our senior sales consultant Sandra says that her clients chose the area as “It offers beautiful scenery and is more Spanish than the south of the region. It has the views and quality of the Costa del Sol but at a slightly better price.” Sandra herself lived in the region and expresses that “You really need to go there and experience it for yourself”. In short, the region offers a strong foundation for permanent living, with plenty to do on a normal daily basis, as well as tonnes of fun leisure activities, making it a popular choice for those settling permanently in Spain. Recognising a rise in the number of enquiries we receive for Costa Blanca North, we’re opening a new office in Javea, expanding our services to meet the demands of our clients. We also understand that our clients wanting to buy in the Costa Blanca North know exactly what they want, and sometimes that’s difficult to find. So, we created Sequre Signature Villas, a bespoke service going above and beyond expectations to create properties with a distinct personality and unique design which reflects our client’s’ vision. Each build undertaken by Sequre Signature Villas receives our undivided attention, so whether you’re dreaming of a six-bedroom villa nestled in the Jalon Valley, or a vacation retreat just a stroll from Denia marina, you can be sure that we will help you create your dream property, within budget and on-time. With Spain's economic growth showing signs of speeding up in the second quarter of 2017 and sales figures up by 39% in the Costa Blanca compared to last year, the region is thriving and we’ve responded.